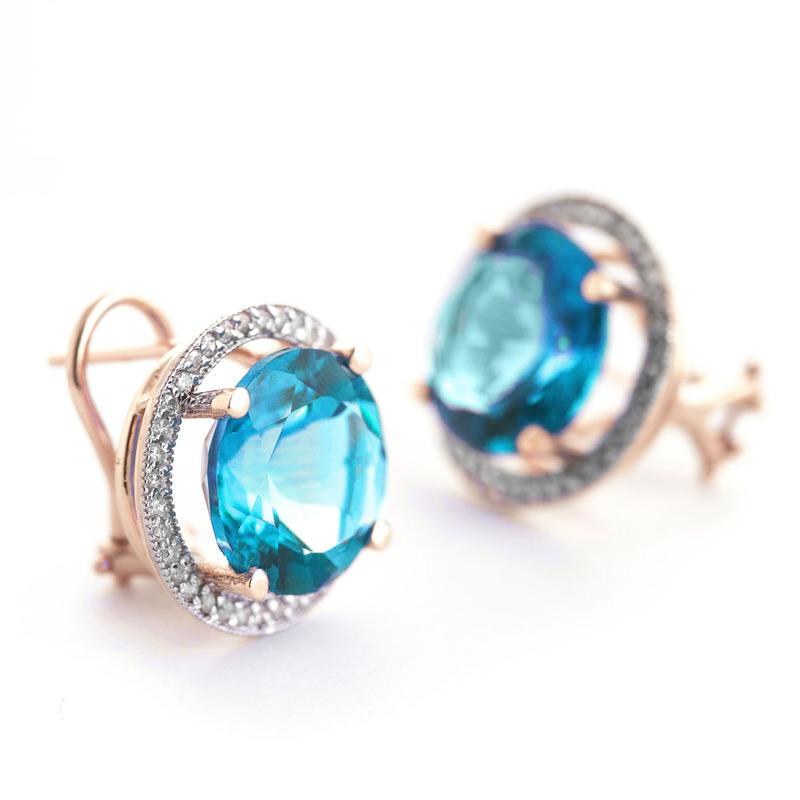 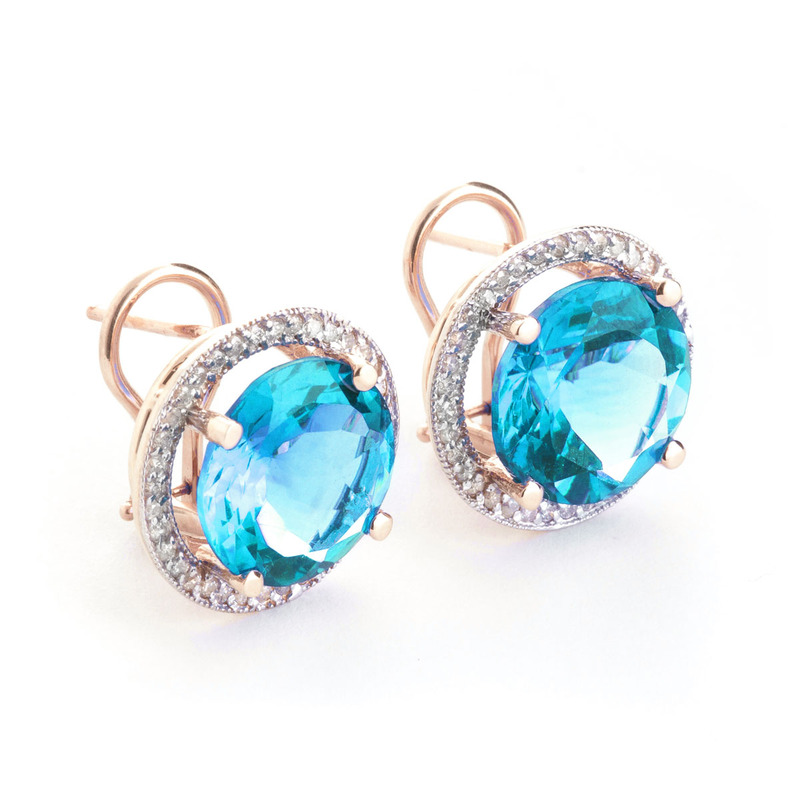 Blue topaz french clip earrings handcrafted in solid 9 carat rose gold. 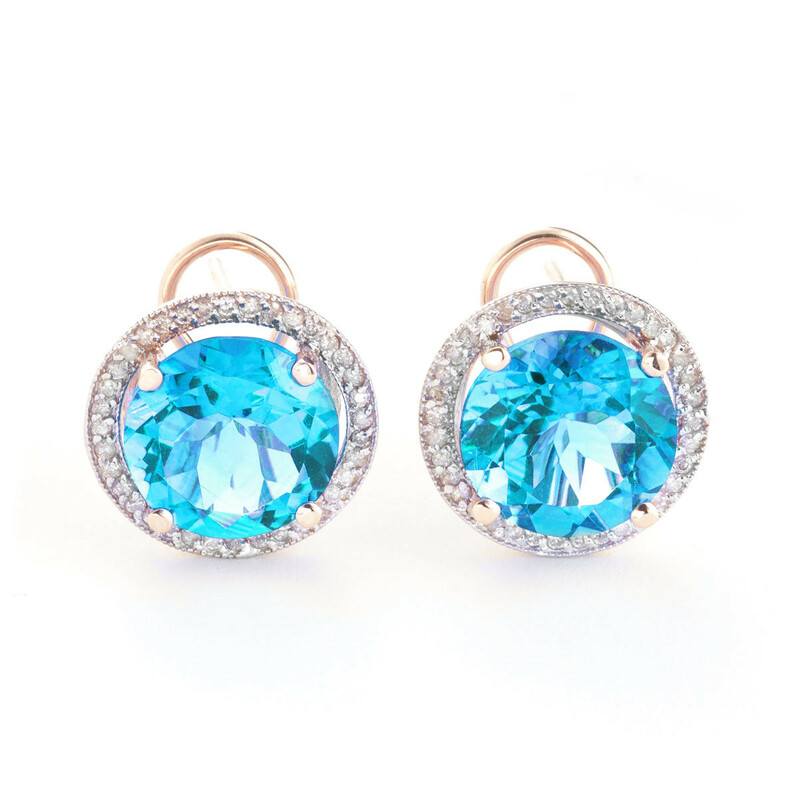 Single 15.6 ct natural blue topaz, grade AAA, 72 diamonds, I-3/K, total 0.4 ct for both earrings combined. 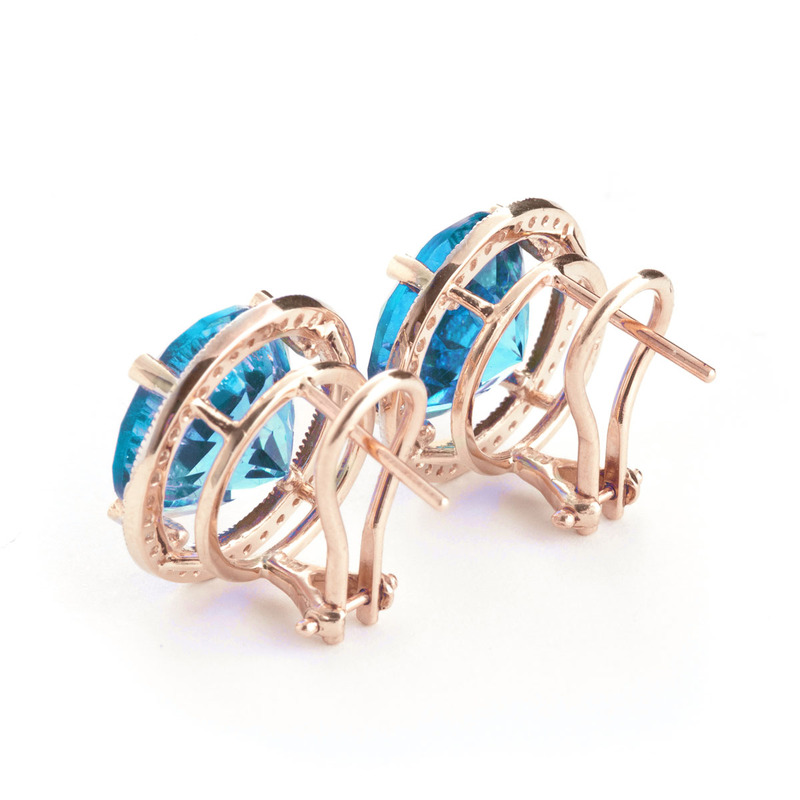 Round cut.